The Remodeled Life: 2012 - Is it Over Already? 2012 - Is it Over Already? 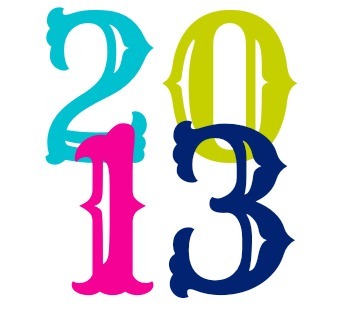 I honestly can't believe that 2013 is just around the corner. This past year has been so chocked full that I feel like I can barely believe its coming to an end - although I really am eager in anticipation to see what kind of year 2013 will be. In thinking of this last year I can honestly say that this has been a year of transition for us. We experienced lots of changes and have been learning how to adjust our family, ourselves and our lives to the new things. Through this process of change I can say that I have learned a lot - especially a lot about God - maybe even more so than if things would have just been super easy. So here is just a little look back on 2012 from this here blog and also a little personal perspective. 1. 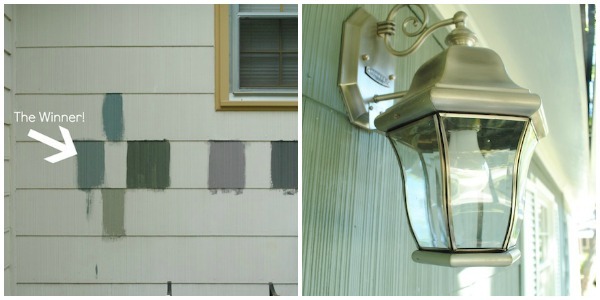 Our big house project: Painting the Exterior. Ok, I think this is kind of funny because our huge project for this year (that took up a huge chuck of time) was dedicated to painting and revamping our house exterior. The funny part is that I have never showed you a final look. I shared the process of choosing colors, how we had lots of help, our newly painted doors, our painted shed, new lighting and the beginning of new landscaping but never did I share a painting of the house post. That is definitely a new blog post resolution that I will work on soon! 2. Another big project for us inside our house was working on our laundry room, bathroom and closet area (all connected in the back of our house). I'm still working on the organization of that space as we have little space to work with so I want it to be maximized to its potential. That is definitely an area that will see more attention again this year. 3. I got super crafty this year - I painted silhouettes, made roman shades, pillow covers, jewelry, paint chip art and went crazy this christmas hand making ornaments and making square wreaths. Getting crafty always helps keeps me in check, as I wrote about in this post. 4. We had a big transition in our life this year when it came to Justin's job and student ministry. Honestly, we look at student ministry as more of a part of our life than our job - it just wouldn't work for us any other way. I got to start hosting girls ministry events and hosting a small group each week - both things that I have really loved doing. This year has been difficult to juggle for me at times since I now have a two year old - who requires a lot of my attention. I love being a mom and I love that I get to spend so much time with Silas. It does however make it different for me when it comes to working with the youth group. Some of the things I used to do just have to be on hold right now. But, then I get the weekly moments with my small group as well as many other things that I still do with Justin so it has been really good. It just took some time to figure out how to make it all work. 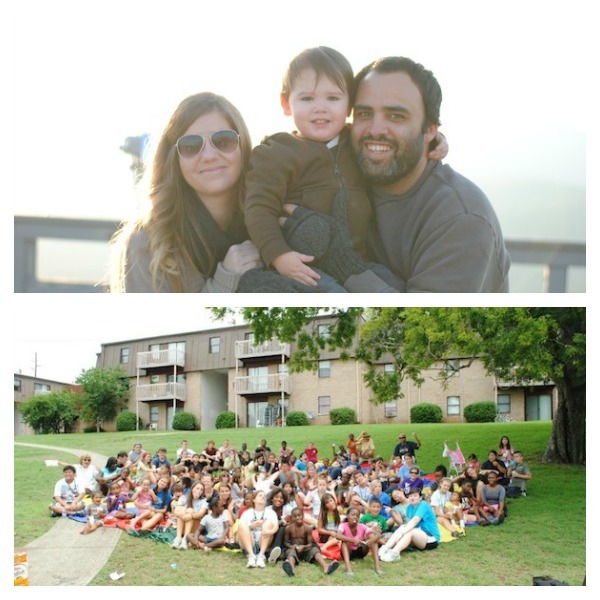 I'm sure that we will adjust and grow each year as our family situations change and our student ministry changes. But over it all God is still the same and knowing that strengthens my faith. 5. I believe this year that God has stretched us - and through that we have been taught things that we would not have learned if we had been left the same. The greatness of God has been evident and proven over and over to us this year. The tenderness and loving embrace of God's word and presence of the Holy Spirit has been evident - many times leaning on God's wisdom and strength to walk us through different situations. For me, the word Faith has been brought forth many times - God has wanted me to strengthen my faith and learn how to fully trust Him in every little detail. I pray for an increase in faith daily and God is still showing me how faithful He is. Justin and I have definitely grown this year spiritually and I believe closer as a couple as life has changed and shifted. God is always molding and shaping us - pruning us when we need to grow. I'm thankful for all of that. 6. This year I have done a lot of praying about this blog - about what it needs to be, where God wants it to go and honestly if I even wanted to continue. As odd as it might sound I finally feel at peace with it and am excited about the direction its going. This blog has meant a lot to me - I've put a lot of time, sweat and emotion into it (as many other bloggers would totally agree with when it comes to their own blogs). For me it has been an outlet of sorts and also just something that I truly enjoy doing. I'm so thankful for all of you that have been on this journey with me and continue to come back. You guys are the best and I can't wait to see where this blog goes in 2013! Hope you all have a wonderful New Year! We are on our way to Atlanta for the Passion Conference and we can't wait! I'll be sharing with you soon!! PS - I have finally updated my project page with all of our projects, events and crafts! Everything should be easier to find now, yay! I love your blog so much! What an amazing group of projects! Love them all....but I think my favorite is that square boxwood wreath! You are so sweet - I love your blog so much :)!!! 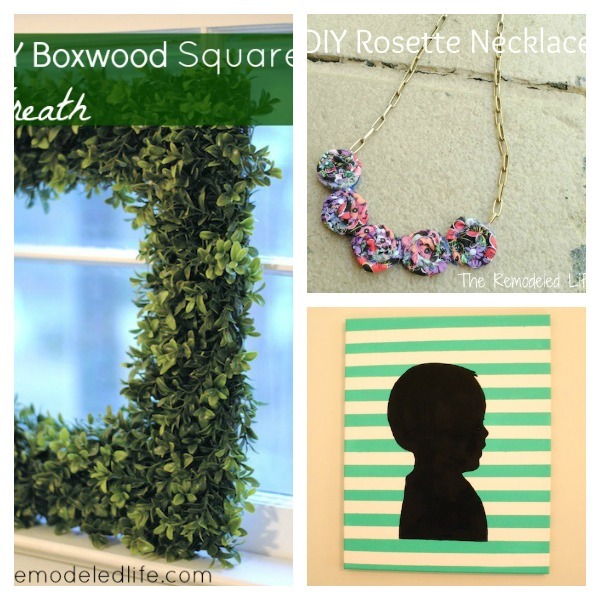 I will admit that the square wreath was one of my favs as well!! Thanks so much for stopping by and for the sweet comment. Hope you have a wonderful new year as well!! What wonderful photos of the year in review. I feel like 2012 flew by. 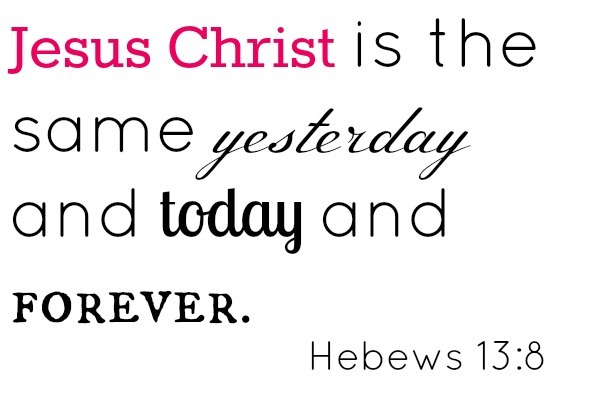 Love the scripture from Hebrews. 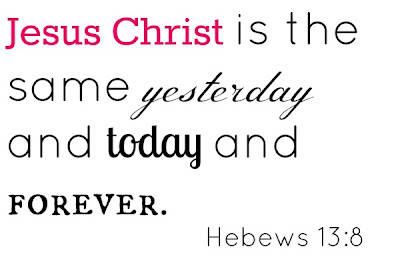 God is always there, always the same and we just need to trust in Him!! I hope 2013 is your most blessed year yet! Aw, thanks Laurie! Hope you are doing great!! You are so sweet! Thanks so much for the kind and encouraging words!! God is so good! Hope you have a wonderful weekend!